This lovely soup bowl from GreenGate is part of the Marie Pale Grey series. 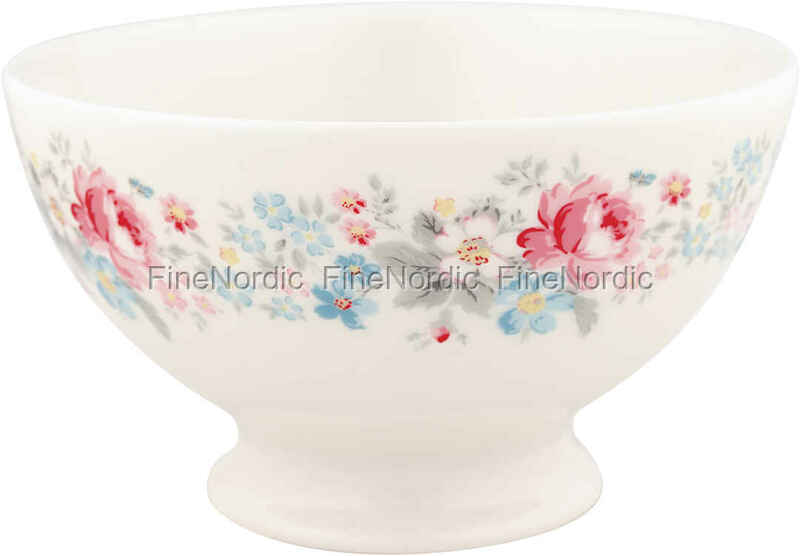 The white porcelain bowl has a gorgeous floral design on it, which is made of different types and sizes of flowers in a variety of pink, blue and grey shades. Use it for a bowl of soup, your breakfast in the morning or serve some dessert in it. The bowl’s unique design will catch everyone’s attention no matter where you put it. Combine it with other floral GreenGate designs, or use it as a focus point with more simplistic, pastel tableware.